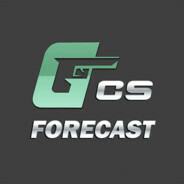 This group was created to keep players CS: GO to date with the addition of new forecasts for competitive matches on our website. Also, there will be published the winners of our draws, which will receive valuable skins and cases in CS: GO. Any news you can discuss on the wall of the group on Steam. We wish you will not be bored in our group! Flood, insults, advertising on the wall are banned! P.S. - all posts Off-topic will be deleted! A hard violators will be blocked forever!